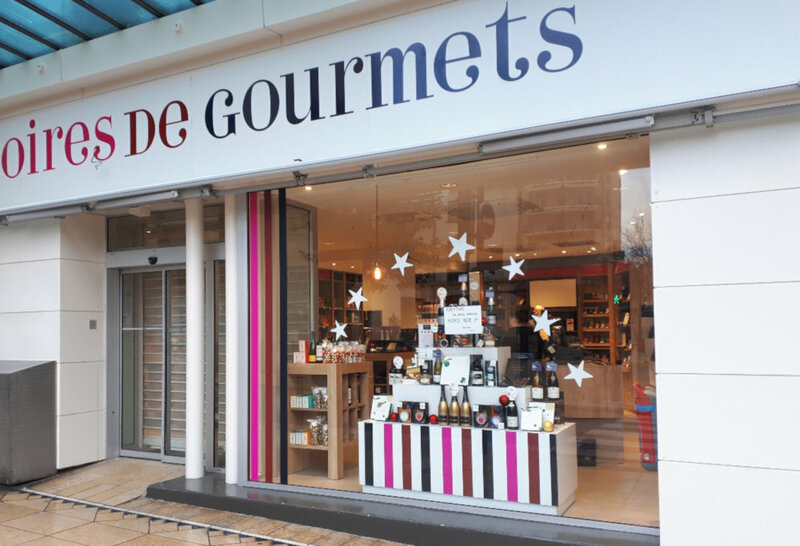 After having analysed the creation of the Savour Histoires de Gourmets boutique in Vichy, a shop resulting from the association of 3 French brands (Comtesse du Barry, Nicolas, De Neuville), we interviewed Jérôme Fourest, General Manager at Comtesse du Barry, in order to shed light on the ins and outs of this project. Several factors came into play when creating the Savour Histoires de Gourmets concept store. First of all, the three retailers have been able to see over time that customers regularly buy supplements from one or the other brand. To create partnerships, with gift boxes, for example, Nicolas, Comtesse du Barry and de Neuville meet from time to time to exchange ideas. Jérôme Fourest stated that the idea of opening a co-branding store was launched informally at the end of one of these meetings with Nicolas. An innovative approach and a concept much more difficult to develop than the proposals traditionally exchanged during this type of meeting. However, Comtesse du Barry was not the only one to suggest this to Nicolas; de Neuville had, a few days earlier, also mentioned this possibility. In the space of ten days, Jérôme Fourest, CEO at Comtesse du Barry, Eudes Morgan, CEO at Nicolas and Gilles Gommendy, CEO at de Neuville, decided to embark on this adventure. The genesis of this idea is based on a simple observation: when two of the three stores or the three stores are located in the same street, all of them experience better commercial performance and higher sales. We can imagine that consumers feel more inspired (and more extravagant) when different stores are present in the same area. It is more likely and often observed by the managers of the 3 stores that the customers tend to buy from Nicolas the wine that will correspond to their purchases made at the Comtesse du Barry delicatessen, for example. Store managers already suggest – informally – to their customers that they buy the rest of their shopping from one or the other brand. Some franchisees from Comtesse du Barry, Nicolas and Neuville, operate in partnership by offering discount coupons from another brand in exchange for a purchase in theirs. This idea launched simultaneously by the De Neuville and Comtesse du Barry stores during meetings with Nicolas, is already finding its place in certain markets such as Morocco, England and Switzerland, where Nicolas offers Comtesse du Barry products to accompany the wines offered in its stores. A few days after introducing this idea, the three CEOs and their marketing, development and sales directors met to engage in an in-depth discussion. This idea is not so innovative. Indeed, this phenomenon of retail where a store offers different brands is already observed in travel retail stores, in airports in particular, or in the famous Galeries Lafayettes. However, these stores distribute products that they have purchased from different suppliers. Savour Histoires de Gourmets is, therefore, the first store combining 3 stores and created by these same stores. They benefit from a strong brand image linked to the quality of their products and expertise. Their implementation strategies (more focused on city centres than on shopping centres) are alike. These points in common have therefore formed, concerning the three parties, a solid starting point to justify the risk of creating a common brand. Any potential blocking points were eliminated by choosing 1/3, 1/3, 1/3, operation and thus dividing the costs of the concept (fixed and variable costs) into three. This is a considerable advantage that allows brands to achieve economies of scale enabling everyone to find their desired outcome. Admittedly, the Savour Histoires de Gourmets store has a larger area displaying wine. 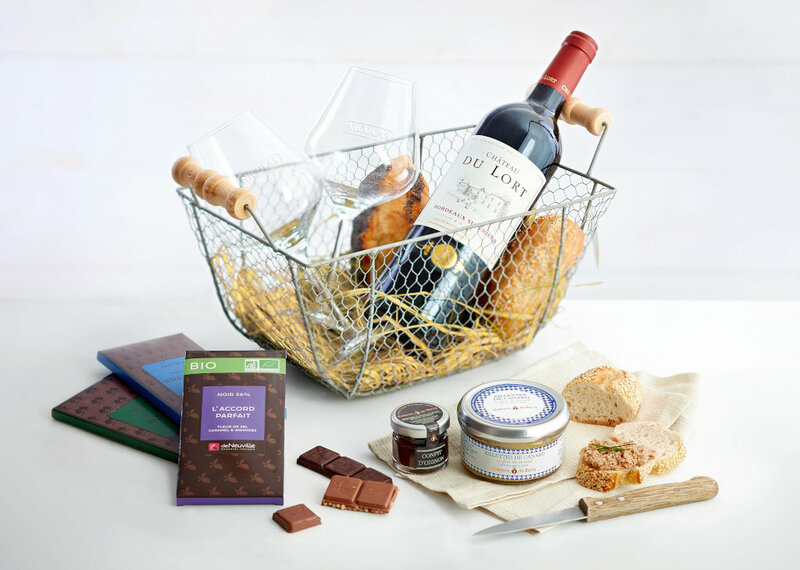 However, Jérôme Fourest insists on the fact that wine is indeed available in the “classic” Comtesse du Barry stores, but these products are mainly used to encourage customers to visit the stores. Jérôme Fourest tells us that Vichy was not the first opening planned. Indeed, the Savour Histoires de Gourmets de Vichy was supposed to be the second to open. The concept is not only intended for small towns, but also for retail parks (commercial activity areas and retail centres such as markets), shopping centres and travel retail (including airports and stations). The implementation of the store in small towns will become a reality “if it is profitable”, says Jérôme Fourest. The advantage of sharing a commercial space between several different brands is that small towns are usually not sufficiently profitable for a single brand. Cities with less than 30,000 inhabitants such as Vichy do not easily enable Comtesse du Barry, Nicolas or Neuville to cover the fixed costs associated with a store of their own. This alliance, therefore, allows the three brands to establish themselves in new geographical areas. Of course, it is too early to assess the results of the store opened in Vichy. The concept store that opened in mid-December has not yet shown its full potential. Indeed, despite the craze due to the festive periods, the city of Vichy is also a very touristic city during the summer months. The creation of the new concept also led the 3 brands to have to find a new visual identity specific to Savour Histoires de Gourmets. 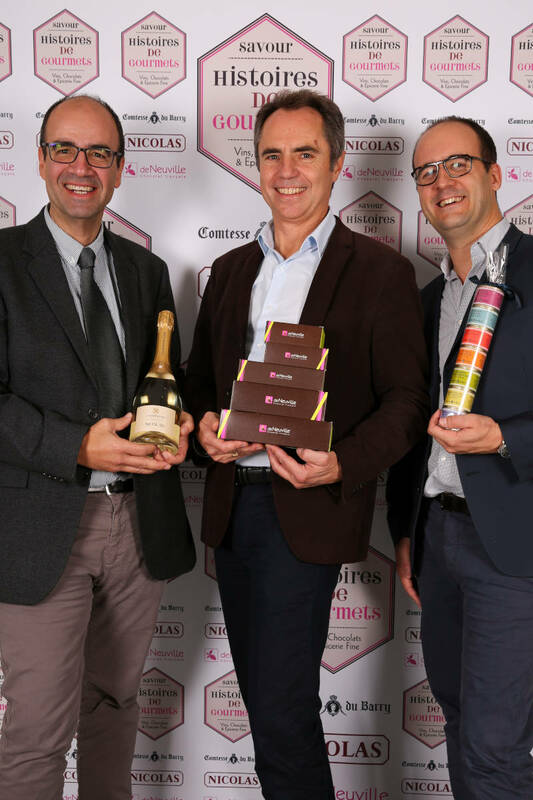 The sign, logo and lettering reflect this alliance, which is the foundation of Savour Histoires de Gourmets’ quality guarantee by integrating the three symbolic colours of the 3 brands: pink for de Neuville, red for Nicolas and blue for Comtesse du Barry. While the store’s internal visual identity is also recognisable, with pale wooden furniture predominating, the three brands have also incorporated certain design elements of their own. The latter is known to have a real positive impact on consumers’ purchasing behaviour, such as the Comtesse du Barry serving dish display, which is typical of the brand, or the Alphabet furniture from the Neuville store. This alliance is also reflected in in-store product presentations. Everyone has their own corner, but the boxes contain products from 2 or even 3 brands and the consultants are trained for all brands. For consumers, the benefit is obvious, and better cross-selling is the key. The objective of Comtesse du Barry, Nicolas and Neuville is to implement the Savour Histoires de Gourmets concept in different “pilot” locations and to decide on the deployment strategy based on the results obtained. The three companies have each been present on the market for more than 100 years, and their corporate culture tends towards a long-term or even very long-term vision. Thus, the teams give themselves 2 years to observe the evolution of Savour Histoires de Gourmets: 1 year to open concept stores in different types of locations and 1 year to observe and analyse the results. No key figures in this article, but rather an “equation”: 1+1+1>3. And that’s how the strength of the Savour Histoires de Gourmets’ concept can be summed up. Consumers never – or only rarely – buy products from a single brand. A basket consists of an average of 2 or even 3 brands. This is, therefore, a perfect example of cross-selling.